With so many awards as the best beach destination in the world, we’re pretty sure you’re itching to pack your summer gear and fly to Boracay Island in the Philippines. This small island in the Visayas has remained a favorite for international travelers looking to catch some sun, get a tan and experience the bohemian island life. A lot of people say that Boracay has become much too touristy. We’d say it’s true and perhaps that’s the new charm of the island. It may not be as pure in beauty as it was before but travelers keep coming back because everything is just so easy in Boracay, even grabbing a bite can be done while you’re on your sunbed. This little café off the beaten path has become an institution in the island. You’d have to watch out for the sign when walking along the beach path or riding a trike on the main road. 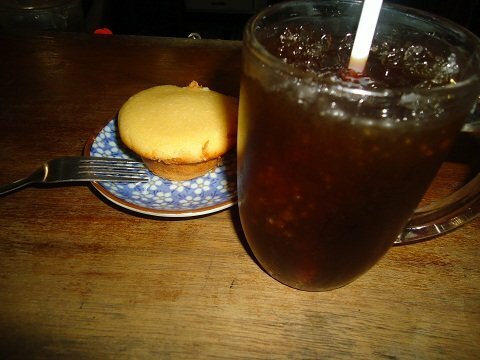 Real Coffee is famous for their calamansi muffins, a favorite breakfast, snack or take-home treat for most. The café is the perfect hangout spot after spending a few hours island hopping or enjoying the beach. The ambiance is truly relaxing, with rattan seats and native fixtures dominating the area. There’s also an apparel store about five steps away for those who’d like to shop while waiting for their freshly-baked goodies to be served. Real Coffee does not have traditional Filipino food so don’t come here if you’re in the mood for a cup of rice. 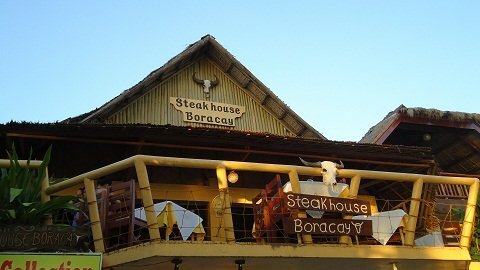 People who cannot live without their daily serving of protein should seek out the Boracay Steak House. It’s pretty easy to spot; it’s located in Station 2, close to many shops and other restaurants. It’s on the second level of a building with a bull’s skull on its terrace. We’d recommend everything on the menu but what stuck is actually not their steak but the humongous serving of their fruit shakes. They’re the perfect heat-busters after a day out in the sun. We suggest you come here for an early dinner and secure a seat right by the terrace; the elevation provides a great view of the famous Boracay sunset. 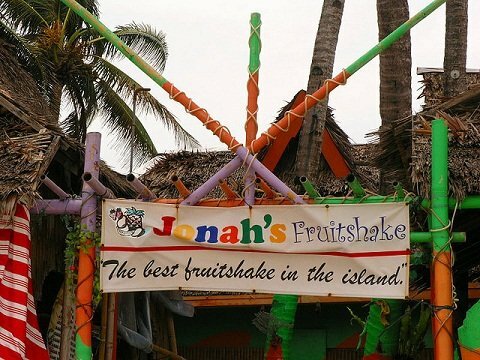 Now that we mentioned fruit shakes, a lot of travelers who have been to the island would agree that Jonah’s is the best in Boracay. One of their branches is located right by the beach so it’s really hard not drop by, grab a conveniently spill-proof bottle of your favorite flavor and get on with enjoying the beach. If you’re too concerned about using plastic and its effect on the environment, you can always bring your own tumbler. Keep in mind though that Jonah’s by the beach is almost always packed especially during high season because it is clearly a top pick among the most popular restaurants in Boracay Island. If you’d like a less crowded place, go to the branch by the main road. It’s pretty easy to spot too but when in doubt you can always hail a trike and ask the friendly driver to take you there. You’ll probably find this restaurant elsewhere in the Philippines but if your visit to the country is confined in Boracay Island, this is a must-try. Gerry’s Grill is easily one of the most popular dining and hangout venues in the island because of their delectable offerings and relaxed atmosphere. Their grilled food is excellent and we’d recommend the tuna which is juicy and cooked to perfection. 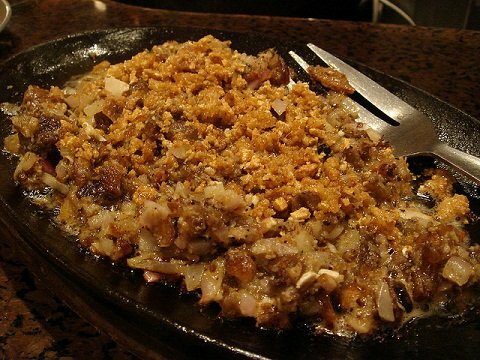 Their sisig is also a bestseller, along with the adobo flakes, laing and adobong puso. If you love Filipino food or even if you’re still trying it out, Gerry’s Grill is a great place to sample the best of the local cuisine. The restaurant is right next to Starbucks in Station 2. Midnight snack? No problem, just walk to where D’Mall meets the beach path and eat at Jammers! The diner is open 24 hours a day so it’s as reliable a restaurant in Boracay can ever get. Jammers is perfect for late-night bites after enjoying a night out or for light snacks. They serve good old Western comfort food like fish n’ chips, burgers, hotdogs, tacos, spaghetti, fries, and a wide array of beverages. For the health-conscious, they also have salads and tuna sandwiches. They even have ice cream! Overall, it’s a great spot to grab a quick bite. If you have anything to add, please let us know in the comments section below. We’d love to hear which popular restaurants on Boracay Island are the best for you! DISCLAIMER: Philippine Traveler is not connected with any of the restaurants mentioned in this article. Visit Hotels Combined to find the lowest rates on hotels on Boracay Island.